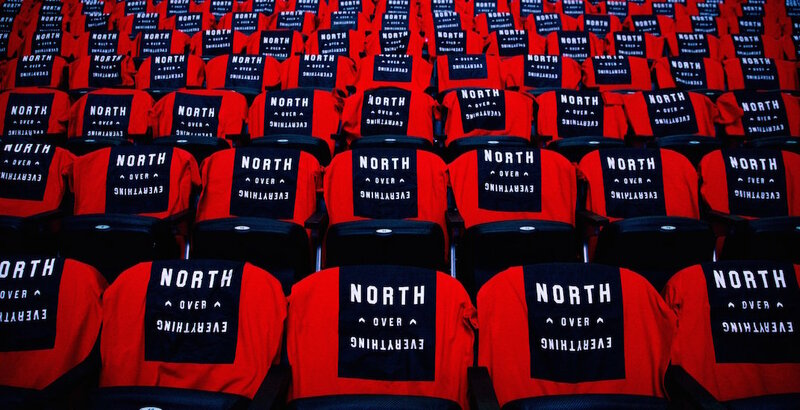 Did the Raptors change their 'We The North' slogan? Something was missing in the Toronto Raptors’ season opener. Sure, they started the season well, defeating the Chicago Bulls 117-100 at the Air Canada Centre. Sure, their new offensive game plan seemed to work to perfection. BUT WHAT ABOUT THE SLOGAN?? We The North, the insanely popular slogan of the team over the last few years was noticeably absent. North Over Everything appeared to take its place. North over everything?? Even We The North?? News outlets across Toronto raced to declare We The North dead. We The North is still here, it just has a new friend.